Best Prices for Your Junk Car from Orlando Junk Yards Near you! 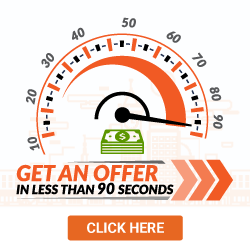 Get a fast cash offer for your Junk Yard in Orlando. 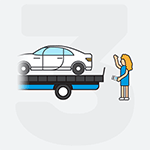 We offer free towing and get paid as soon as your car is towed! 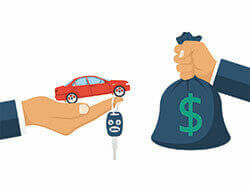 Enter your zip code below to find out how much your car is worth. Sunshine, theme parks, palm trees and the ocean. All of the best things about living in Orlando can be very far out of reach when you're struggling to get rid of an old junk car. If you have a wrecked or damaged car that shouldn’t be out on the roadways, selling is probably your best option. Repairs can be costly and if your car is older, it may be best to just sell and move on. But selling to local junkyards in Orlando is easier said than done. Junkyards who buy cars like to haggle and are notorious for giving low ball offers. Plus, once you do finally accept their offer, they want you to tow the car to them. At DamagedCars.com, we always guarantee our offers and even provide free towing nationwide! We are experts at evaluating and buying damaged cars. We always make offers based on the true market value of your car and we’ll even throw in free towing, with a turnaround time of around 24 – 48 business hours. Before you search online for "junk removal near me," remember that when you sell a car to a junkyard, you can't be sure that you're getting a good price. But most private buyers don’t want to purchase a vehicle that is in less than perfect condition. And while you may find a junk removal yard in Orlando that will give you a fair offer, chances are that they'll ask you to pay to for towing! 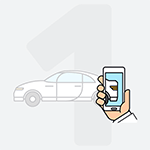 In just 90 seconds online, we can give you an offer for your damaged car based on the fair market value. When we evaluate old cars, we always take into consideration the make and model, year, current condition, trim and premium extras. You’ll never have to worry about low ball offers or pressure to sell when you work with us. How Much Can I Get When I Sell My Car to Local Salvage Yards in Orlando? Unfortunately, there’s no telling what kind of offer you’ll get when you sell to scrap yards in Orlando. This is because most local junkyards don’t know how to properly appraise damaged cars and simply make an offer based on scrap metal value. So all of the other factors that make you car great, despite it being damaged, are simply tossed out the window. On the other hand, we do care about premium options like leather seats, power windows and sunroofs. 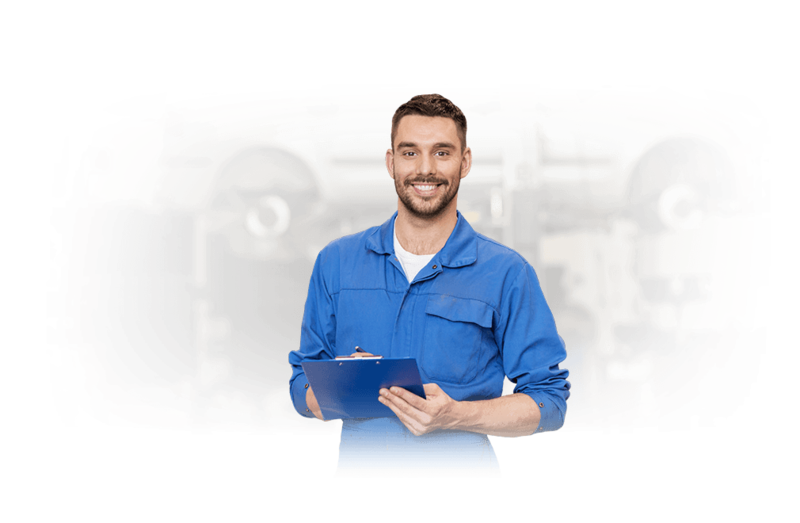 When we make an offer for your old junk cars, we always take these factors into consideration to make sure you are getting true value pricing. When is my car considered a 'junk car'? Will that affect my offer? We buy junk cars, it's what we do. Your offer is based on the specifics of your car's condition, not if it's a junk car. If your car has a 'salvage title' or 'junk title' you can still get a decent offer for the vehicle. You car may be worth much more than you think! Does DamagedCars.com have any service fees or expenses to me? We won't charge you any fees, we'll give you money for your junk car! You won't incur any hidden fees or expenses to you whatsoever. Towing is free, and our customer service throughout the title transfer process is absolutely free. Our refined car buying process allows us to dispatch the nearest scrap yard, which results in a 24-48 hour vehicle pick-up time! Other local scrap yards may idle around and take their time to get your car. Our junk car pick-up responds quickly and sends out a junk removal service as soon as possible. The best part? You'll get paid as soon as the towing company arrives! My car broke down, will I have to pay to have it towed? We buy cars in any condition which frequently includes non-running cars and cars that won't drive. Your broken down car will be towed for free to our partner auto recyclers near you. Where Can I Find Scrap Yards in Orlando? We are proud to work with reputable salvage yards all over the greater Orlando area, so you never have to waste time trying to work out a price. If you have the title for your damaged car, we’ll pick it up for free and pay you on the spot. We offer free towing that arrives in a timely manner, usually within 24 – 48 business hours!